At the end of 2015, the CSIRO and Bureau of Meteorology (BOM) released a joint technical report that... indicates a substantial increase in the average number of hot days for the rest of this century. The media most commonly report the higher values to raise the “shock factor” of their articles. Consequently, the general public and politicians are bombarded with what can best be described as disingenuous exaggerations. I’ve been reading about the Commission: the Climate Commission established to provide all Australians with an independent and reliable source of information about the science of climate change. Two of the commissioners, Professors Will Steffan and Lesley Hughes, have just published a report stating that New South Wales is becoming hotter and heatwaves will become more severe. 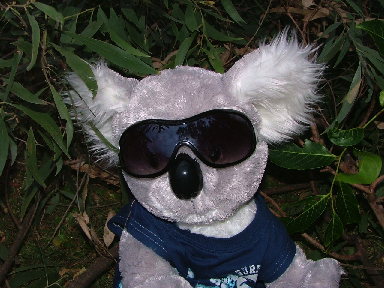 My name is Mr Koala Bear and I’ve been studying their report ‘The Critical Decade: New South Wales Climate Impacts and Opportunities’. And that is not what the data says, not all the data. Scientist Basil Beamish begins at the beginning.Professors Hughes and Steffan have no business being Climate Commissioners. I want to start a petition: Basil Beamish for Climate Commissioner!